Welcome to the fall edition of What’s On Tap! Cooler weather pairs nicely with cool tunes and the first fall seasonal beers this month – let’s rock! Cambridge-based musician Jellica is a veteran of the chip scene, having released 14+ EP/LP online, running the Kittenrock netlabel, and performing live both in the United Kingdom and abroad. Jellica’s style is somewhat fluid between releases, moving deftly between various genres of electro-pop oriented sounds. Released on August 31st, Jellica’s newest offering ‘Retrotech Romance’ is a masterclass in SID sounds, with dual Commodore 64 chips pumping out waves of intense textures and funky rhythms. An interesting aspect of this album is that it takes time – each track is at least 4:00 long and all evolve organically rather than using a standard verse/chorus approach. In the style of the American minimalist composers Philip Glass/Terry Riley/John C. Adams, musical events unfold over a series of minutes rather than seconds. Sometimes these are small nudges to the musical orbit rather than colossal impacts; the addition of a higher set of accompanying blips or a 7-tone melody that unfolds over twenty seconds. In our current environment of 140-character snippets, ‘Retrotech Romance’ closes out the summer with a marathon session of electronic jams. ‘Warez Waldo’ is an artist who mainly specialises in 16bit chipmusic. Dabbling in a variety different technologies, from MS-DOS PCs to Commodore 64s, Warez Waldo’s main aspiration is to create music which throws back to the Soundblaster 16 music, such as Sam & Max and Duke Nukem. A while ago Anamanaguchi blew people away by fusing rock music with chiptune. Since then, they have inspired many other bands to redefine chiprock even further: Melt Channel, Slime Girls & Astroskeleton to name a few. 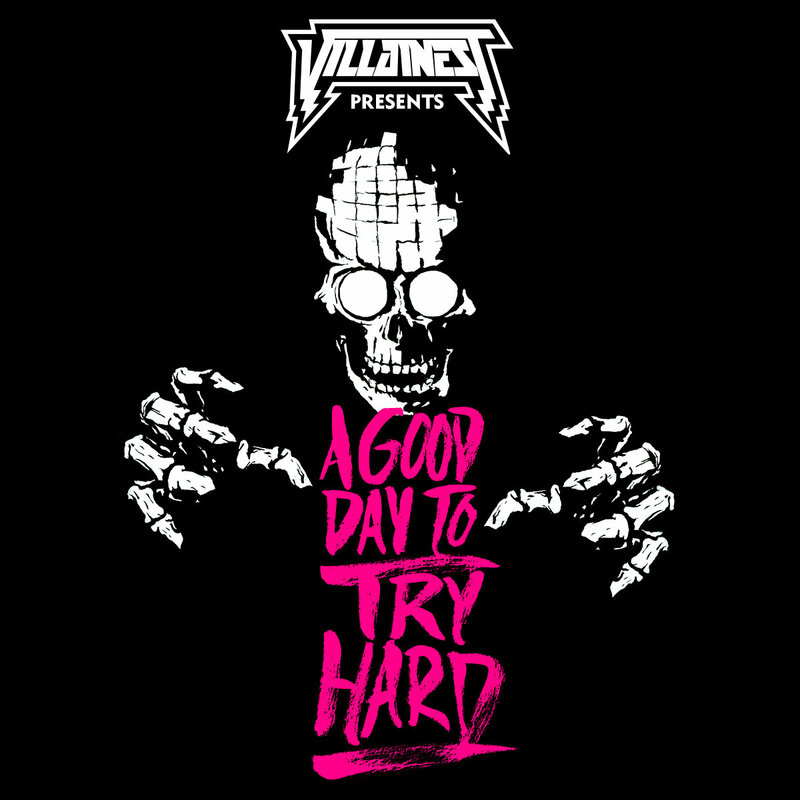 Villainest are the latest band to come out to do the same with their latest album, ‘A good day to try hard’. Unfortunately no ‘4 smalls songs’ this month, instead I’ll be looking at Chema64’s VIZIERS. A bit of context, Chema64 is an LSDJ artist who resides in Mexico City, Mexico. For his music he solely just uses Nintendo Gameboys, creating a mayhem of different sounds. As well as that, Chema64 also founded 56kpsrecords, a netlabel whose goal is to promote chiptune music. Before I begin reviewing, this is the first time I’ve listened to Chema64’s music and I must say it is probably one of the most hard hitting, glitched music I’ve heard, all whilst still containing a groove through out and pouring some sweet WAV dubstep into the mix. It’s hard to believe that all this music has actually been done entirely on LSDJ.